Jewel encrusted Juliet Cap. A luxurious combination of Pearls, Swarovski Crystals, and Diamante. 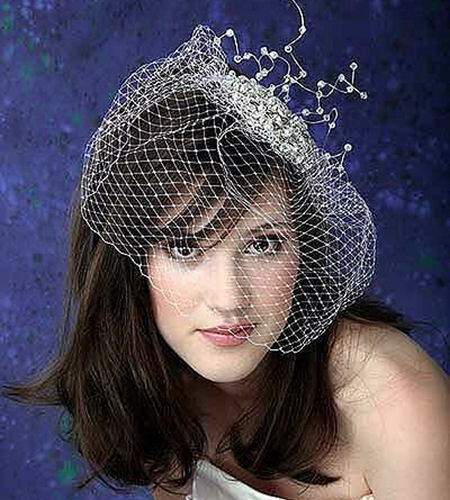 With a Birdcage Veil.